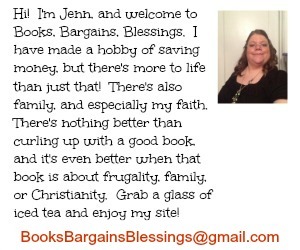 Books, Bargains, Blessings: Are You Pressing the Lever on McDonald's Monopoly? 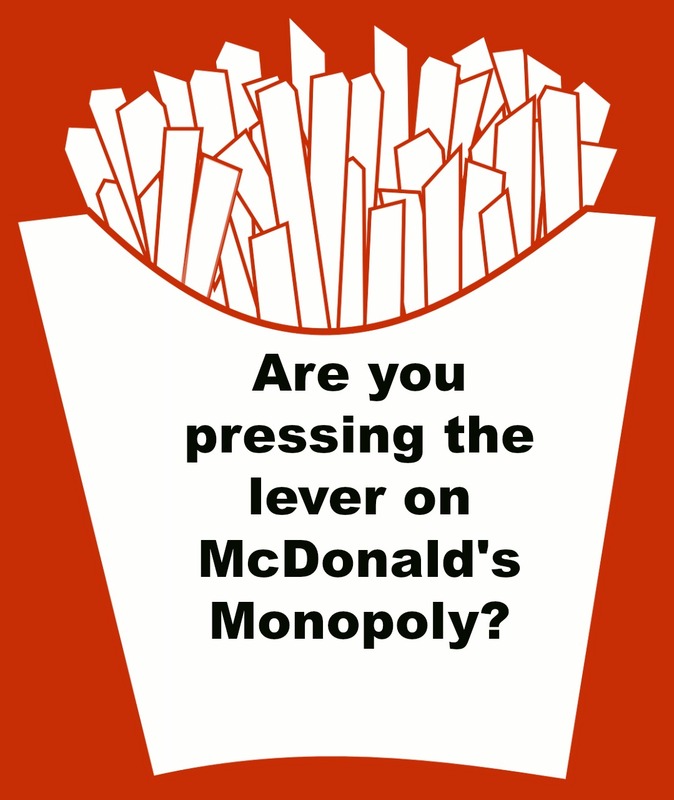 Are You Pressing the Lever on McDonald's Monopoly? I love entering sweepstakes. I love the thrill of winning, the hope of winning, just imaging I might win. It's McDonald's Monopoly time again, and so I will eat at McDonalds maybe once or twice with the hope of winning something. But did you know that you can send off for free game pieces? Do the math. You can send off for game pieces with a self-addressed stamped envelope, costing around $1.00 in postage, plus the cost of the envelopes. Or get the same amount of game pieces by buying large fries ($2.09). Of course you would get the fries, but who needs almost half a day's amount of calories to get a couple game pieces? The rules say 1 in 4 win. Last year I sent off for a number of game pieces, as I have done in years past. In previous years I won more food than I could eat (and ate more than I should!) I won nothing larger than an Extra Value Meal, but I still won tons of food when I sent for thousands of game pieces. (Of course this was YEARS ago when they had the Best Buy dollars with the pieces and I had quite a bit I was able to spend at Best Buy, but I'm talking just the Monopoly section of game.) This meant I ate at McDonalds a lot more often, and in so doing that wasn't a good choice nutritionally to eat there so much even if it was free. After all, keep in mind the results of the University of Wisconsin study that showed that while upsizing a meal costs 67 cents at the register, over a lifetime it costs up to $7.72 in added medical costs. Is that really a value for your 67 cents? You can read that study here. This week I had some free egg white McMuffin coupons if you made a purchase. So I decided that my mother and I would use them. We each ordered a hash brown, and an egg white McMuffin. We did this two different days. We did not order drinks. Had we not had the coupons, I would have paid right about $15 for four muffins and four hash browns. So paying $4.24 wasn't bad in terms of financial outlay when we got breakfast. The odds of winning are remote. I think many times people don't realize how remote it is because there's the "reward" of free fries. I studied psychology in school and I remember a study where if a rat was fed at random times when it pressed a lever, it would press the bar much more often than a rat that was fed when it pressed the lever every X number of times. So we peel a game piece, win free fries, and we're ready to press the lever again, so to speak, since we're rewarded at random intervals. What if we knew that we'd only win every other time we visited? Or every third time? In addition, there's the collect and win, and while I know people who have won cars, cash, trips in sweepstakes I don't know ANYONE who has won in the collect and win portion of McDoanlds Monopoly. But we peel a game piece and we get excited because we don't have Pacific yet, and we faithfully paste it to our board feeling accomplished even though we'll likely never see the rare game piece that will allow us to win a sports trip we probably might not even want to pay taxes on. You will also see posts on Facebook with people asking for a rare game piece and saying they have the others in the grouping and if you have the piece they need, then they will split the prize with you. (Having a rare game piece is the only reason I would say to start eating at McDonalds until you get the other pieces you need, but the easiest prize to win in the collect and win game has odds of 1 in 152,520,645. It goes up to 1 in 5,945,378,686.) That's almost one in six billion. Your odds of winning Powerball are much better than that! Read the rules of a contest, see what the odds are then enter wisely. With no Best Buy dollars on this one anymore, I might decide to eat at McDonalds during the Monopoly game, but it's not going to make me eat at McDonalds more often. 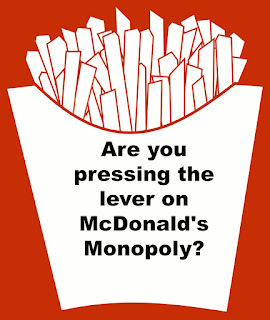 Has anyone else figured out what they have spent at McDonalds above what they normally would have during Monopoly and what they have won from that? Yes, some people will win, but to me it's not a wise financial move nor wise health move to be eating at McDonalds more often than I normally would in hopes of winning.